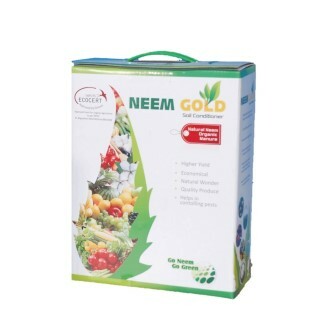 Neem Gold – Neem India Pvt. Ltd.
Neem Gold is obtained as residue while extracting neem oil from neem seed kernel by cold press extraction process. It is an ideal soil conditioner available in powder form for horticulture, floriculture, vegetables, cash crops and in organic farming. 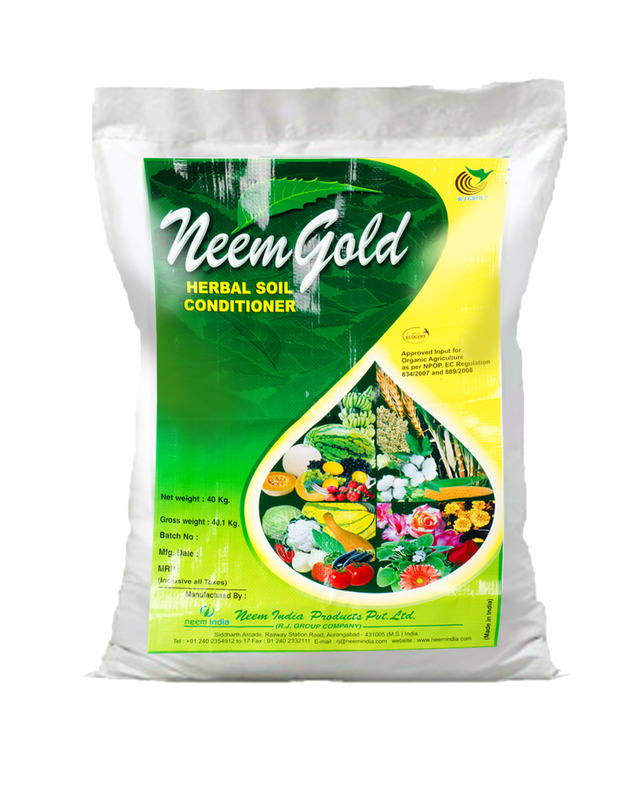 Neem Gold is rich source of naturally occurring Nitrogen (N), Phosphorus (P), Potash (K). It also contains secondary nutrients like Calcium & Magnesium in addition to micronutrients like Zinc, Iron and Boron etc. Neem cake due to its inherent nature contains ingredients such as Azadirachtin, Nimbin and Nimbidin etc., which imparts incredible pesiticidal properties. Neem Gold therefore not only acts as manure but also as soil conditioner. It optimizes soil micro flora. 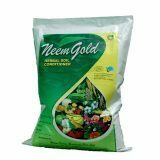 Neem Gold helps to control root-knot nematodes, termite population, root grubs, pupae of insects and suppresses the growth of soil borne fung. Totally biodegradable leaving no residue. Rich in natural NPK and micronutrients. Controls nematode population and optimizes soil micro flora. Reduces use of chemical fertilizer. Reduces use of herbicides and insecticides. Reduces leaching losses and regulates Nitrogen when applied with Urea and NPK fertilizers. Improves strength, flavor, quality and product life of crops. Ideal for horticulture, floriculture, organic farming, green houses and poly houses. 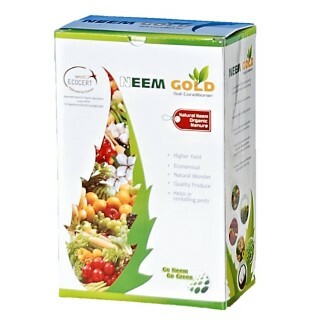 Neem Gold can also be mixed with soil and apply on and around the roots of the plants, vegetables, bushes and trees, will have a remarkable result in the improvement of the plant immunity. Neem Gold can be applied safely in all cultures, fruit-bearing, garden products, Melon, Cotton, Tobacco, Vineyard and flowers. Apply 1 kg of plots of 100 to 150 sq.ft or 10 sq.mtr, and 50 to 250 gm per plant. Its depending on size of plant. For dressing of turf grass – 1 kg for 100 sq.ft lawn areas.